We are engaged in offering Electrostatic Powder Coating Machine, which is extremely praised in the market. Owing to high demand, professionals make these products in varied patterns. Pure Epoxy Coating Powder is based on the combination of epoxy resins and hardeners such as DCDA and carboxylic salts of cyclic amidines. These products are recommended for interior decorative applications. 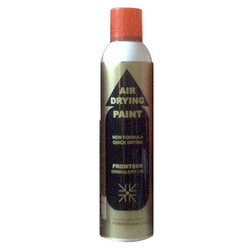 Promtech offers aerosol touch-up sprays for hiding the defective areas / nu-plated, unprotected / poorly plated areas in Zinc Plating Touch-Up. 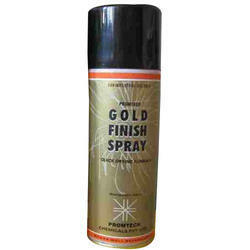 Gold finish spray is used for yellow zinc, silver finish spray used for blue or white. 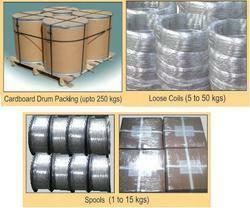 We are one of the trusted companies of Zinc Wire. Our products are enormously admired in the market owing to their top features. 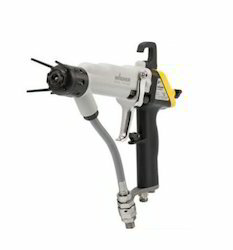 We are recognized as the leading trader and supplier of the superior quality range of Electrostatic Guns, such as Electrostatic Spray Gun. Rapid Coat's R-Series of Architectural Powder Caotings has been specially designed to provide a long lasting, outdoor durable coating. Harsh UV lights, High Temrature and Humidity combine to have adamaging effect on the powder caoting. R-Series powders are designed to withstand such demanding conditions. The R-Series is primarily developed for coaitng on Aluminium Extrusions, Windows, Doors, and Facades.The same powders can be coated on mild steel and Galvenized steel substrates for both indoor and outdoor uses.Other application include Graden Furniture, Fences, Gates, Awning, Lamp Posts and Public Utility Projects. 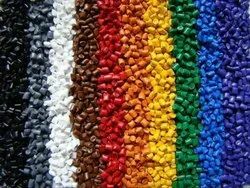 Masterbatchesis a solid or liquid additives for plastic used for colouring plastics or imparting other properties to plastics. Masterbatch is a concentrated mixture of pigment and additives encapsulated during a heat process into a carrier resin which is thencooled and cut into a granular shape. From 2002, we have been offering our customers various qualitative products and services that fulfill their varied needs and requirements. Our extensive range consists of Pure Epoxy, Pure Polyester, Epoxy Polyester, Finishes Glossy, Semi-Glossy, and Texture. These products are sourced from various reliable and certified vendor Marpol Pvt. Ltd. and Rapid Coat Division. 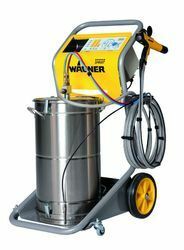 now we are the authorized distributor of J.Wagner GmbH, WAGNER is the market-leading manufacturer of high tech products and systems for coating and decorating with paints and powder. Our customers are manufacturers, contractors as well as consumers. In order to ensure high levels of customer satisfaction, we are strongly committed to innovative services, high technology engineering, and quality manufacturing. In other words: Always the latest technology for ever-new possibilities. Throughout the world. Because the WAGNER brand name is present in over 50 countries through our subsidiaries. 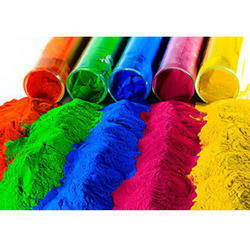 Our vendor utilizes latest technologies and finest quality raw material in the production process. We work with the customers for developing complete understating the needs of the market and deliver products that greatly exceed all the expectations of the customers. 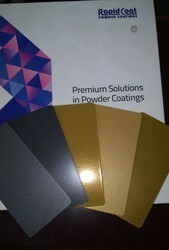 All our products are offered in a wide array of colors, gloss levels, and finishes. Additionally, we can also provide customized products as per exact specifications of the customers. Backed by our strong business ethics, we provide our customers with highly professional solutions. All our customers admire our comprehensive customer support policies and transparent business dealing. Owing to these factors, we have become a regular supplier for a large number of our customers, who enjoy long-term and cordial relations with us.